Is your bowl lacking abundance? Or is it free of junk, with plenty of space for new bounty? Open yourself to new wealth with this simple, yet powerful ritual. I´ve just come from reading Lena Steven´s monthly forecast on Committment at thepowerpath.com. You guys are lucky. Really lucky. Because of that article, I have decided to openly publish the ritual that I would be performing for you at the official WUB opening tomorrow night. The reason is this: I am committing myself to service. Fully. No sitting on the fence. No trying to postpone the workshop until a later date so I can capitalize on it financially. Nope. I am publishing the ritual so that all of you can do it at home. Many people have written that they are out of town and want to do the ritual anyhow. I can´t in good conscience say no. The Wesak Full Moon is the biggest, brightest and most powerful moon of the whole year. This ritual will work. It worked for me last year big time. All you have to do is really put some thought and effort into it. You will need: a white candle, a bowl or receptacle you can burn something in, your list, a small empty box or chest (the prettier the better), sage (optional). That was rather long-winded, but it explains exactly what was holding me back. Once I got that, I was able to shift my thinking towards becoming more empowered on that level. It was my biggest block. At night, when the moon is bright and full, light your white candle and sit quietly for a few moments, breathing deeply and rhythmically. Read through your list and make sure there is nothing missing. Just pour it all out. All the negative belief patterns from your parents or peers that are keeping your from accepting money into your life. Write it all down. 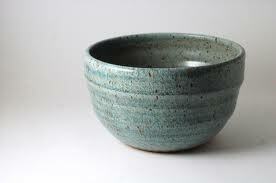 When you feel ready, take your list and go out into the garden or onto the balcony with a smudge bowl, ceramic bowl or some receptacle you can safely use to contain a small fire. Throw in a little sage into the bowl if you have some lying around. Address the moon and your Highest Self and proclaim out loud that through the action of burning your list, you destroy (use the present tense!) now and forever the limiting values and thoughts that are keeping you from abundance. Do this unhurriedly and really focus on your confidence before you set the match to paper. You want to muster as much committment to ridding yourself of these limiting beliefs as possible. That means you must also muster feelings that this ritual will work. When you are certain that your burning of the list will get rid of those limiting beliefs, set the paper on fire in the bowl. Watch it burn completely and keep thinking and feeling how those limiting beliefs are burning away with the smoke from the fire. Take some time in silence to give thanks to the power of the moon and your Higher Self for helping you with the ritual. Then go back inside. Sit quietly for a moment in the stillness of your being. Try to find the place inside you that resonates completely with your spirit. What you are doing now is empowering yourself with your pure spirit. It helps sometimes to envision a natural element or animal of power. You communicate with the spirit of a mountain or a tiger or a powerful storm. You ask that element to share its power with you. Gather your power quietly for a few minutes. The universal supply is limitless and I am entitled to all beauty, bounty and abundance as my divine birthright. The creator is my source of my supply and abundance. Abundance in all forms flows to me easily in God´s perfect way. I am worthy of abundance and therefore all financial doors are open to me now. I am the abundance of the universe. The abundant wealth of the universe flows through me now. Any variations on these affirmations are acceptable, as long as they ring true to you and are stated in the present tense. I even repeat some that really resonate with me. When you are finished with your new list of beliefs about money and abundance, put them in a special box. This box will be your abundance box or treasure chest. In this box you can put other items that symbolize abundance to you such as coins, gems, jewellery, any kind of precious objects. You should also regularly put money in this box and use that money for luxury items. Don´t pay your bills with the money you put in this box! Show the universe that you feel abundant by allowing yourself to splurge a little. Take yourself out for dinner, buy a new book or cd, some clothes. There needs to be interaction between you and your abundance box. Remember that money needs to circulate for it to come back to you. Regularly put money in there and then use it for something fun and frivolous or for something you´ve wanted for a long time. Spend the money on yourself. Don´t forget that wealth means so much more than just money and “things”. Your health, your relationships, opportunities and creativity are all forms of wealth. At night before bed you can go through your mind of all the things you feel lucky to have in your life. It´s just another ritual that focuses your power and imagination on the feelings of gratefulness for what you have, and not for what you lack. Manifestation is about charging your thoughts with feelings and making room for what you feel you deserve in your life. At the end of the ritual, simply blow out the white candle you lit and turn the lights back up. I would love to hear any reports on the success of your ritual in days and weeks to come. Please do leave a comment! Have an amazing Wesak Moon!! Hello there! This article couldn’t be written much better! Looking at this article reminds me of my previous roommate! He continually kept preaching about this. I am going to send this article to him. Fairly certain he’s going to have a good read.